If you are financing your new home, the home appraisal is one of the key elements of the home buying process. If fact, it is impossible to be approved by a mortgage lender without an appraisal. But what exactly is an appraisal? 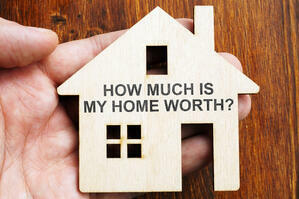 The short answer is an appraisal reports the home’s value. Below you will find out how to prepare for your appraisal, what happens during the appraisal, how long the appraisal will take and what to expect after it is complete. How to prepare for your home appraisal: You want to prepare for your appraisal in a number of different ways. First, document any and all upgrades you have made to the property since you’ve owned it. If possible, provide approximate dates and also receipts and contracts you might have from contractors you’ve hired. Second, do a walk through of your home, inside and out, and make a list of anything that needs fixing or freshening up. For this inside, this includes everything from a leaky faucet, to a squeaky door, to a broken handrail, to chipped paint. Prioritize your list and tackle it one by one. Plan to paint any rooms that have outdated or worn paint or wallpaper, and replace fixtures that are broken or outdated. Simple updates can liven up a room and give it new life. For the outside, plan to cut back any overgrown shrubbery and trees, trim hedges, mow the lawn and plant new flowers if the season/weather allows. Be sure the walkway is clear of all debris and fix any broken steps or rails. You might also want to consider freshening up your front door with a new coat of paint for a fresh and welcoming entrance. The last step in preparing for your appraisal is clean, clean, clean. You want to clean and prepare for the appraisal in the same way you did to prepare for your open house. Your appraiser is determining the value of your home--You want the appraiser to see a well maintained, clean house which will go much further than a home appearing to be run-down and dirty. What happens during the appraisal and what is considered? The work of the appraiser actually starts before he/she even shows up at the home. The appraiser will gather information needed to evaluate and draw up an accurate depiction of value. Much like the real-estate agent did when determining an appropriate price to list the home for, the appraiser will gather data relating to recent sales in the immediate area of homes that are comparable in size and structure. Once the appraiser arrives at the home, they could be there for as little as 15 minutes or for as long as 2 hours. The factors that are taken into consideration are lot size, upgrades and renovations, structure and condition of the property, and also the curb appeal. He will take pictures of the property and record measurements for his report. Once the appraiser is through, the lender will receive the official report directly from the appraiser within a weeks’ time. And What Happens Once The Appraisal Is Complete? What Then? The appraisal amount is important because this is the amount the lender will base the approved loan amount for. If the appraisal amount comes back equal to the requested loan amount, the lender will move forward with the closing process and you are one step closer to being a home-owner. If the appraisal amount comes back higher than the requested loan amount, not only with your lender to be able to move forward with the closing process, but you’ll be purchasing a new home and also have equity at the time of closing. However, if the appraisal comes back lower than the requested loan amount, the lender will be unable to move forward with the process as requested. If this is the case, you still have a couple of options to pursue. You can move forward and come up with the difference between the appraisal amount and the agreed upon purchase price. You can work with your agent to appeal the assessment. If your agent believes that the property wasn’t fairly assessed, they can gather details on comparable homes that have recently sold to present to the lender. Also, if there have been renovations or upgrades made to the home that do not appear to be represented, those details can also be presented to the lender. The lender will then forward the information to the appraiser and ask for a reassessment. Ask you agent to negotiate with the seller to see if you can come to some sort of compromise to split the difference. Ask your lender for a second appraisal. While this is a viable option, be advised they you will be responsible for paying for the second appraisal. As each appraisal will typically cost between $200 and $400, this expense might not be welcome while in the final steps of buying a home. Also, there is no guarantee that a second appraisal will yield different results.